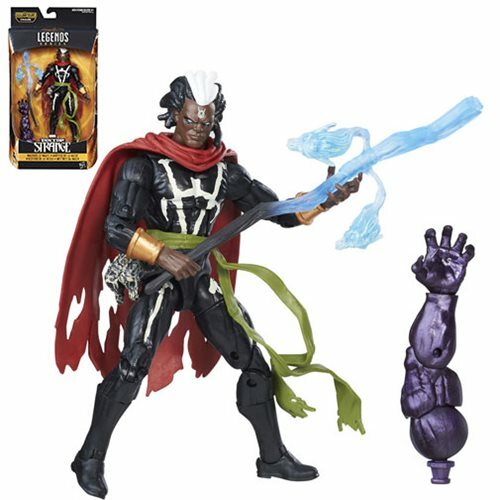 See beyond reality with the Doctor Strange Marvel Legends 6-Inch Masters of Magic Brother Voodoo Action Figure! Each exquisite action figure in inspired from classic comics and the exciting movie, bringing you the whole suite of articulation you've come to expect from Marvel Legends. You also get a build-a-figure piece of the giant Dormammu - amazing! Bring home the entire spread of classic movie and comic characters, each of which includes a part to build the massive Dorammu figure! Ages 4 and up.